Welcome to Radiant Rags. We are a small, caring Ragdoll Cattery located in scenic Massachusetts. As you can see from the photo above, all of my cats are first hand members of the family. 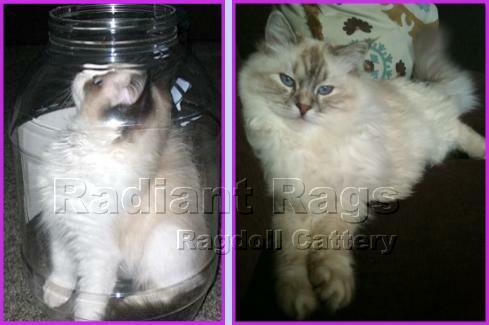 Sharing our lives with these very special cats has been a true source of joy for my family and I for many years, and we are very pleased to have the opportunity to spread a little "Ragdoll radiance" to other Ragdoll cat fanciers, whether you are new to this enchanting breed, or a seasoned Ragdoll lover. I hope that you enjoy your visit to my web site today as you learn more about us and meet our Ragdoll cat family. 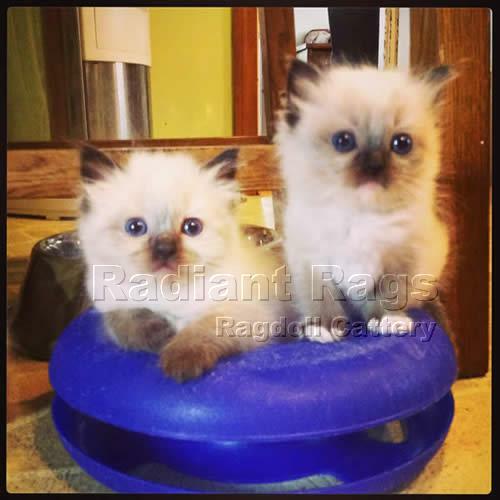 If you would like to consider the addition of a Radiant Ragdoll kitten to your family, please visit my news page to learn more about upcoming litters and available kittens. I will be happy to speak to you about our kittens, and help you make an educated decision about the right choice in a Ragdoll kitten for you. Please feel free to call or email for more information. I look forward to speaking with you! I love my little kitty; she makes my house a home. Alone you fight and hope, one day, she'll grow up proud and strong. You pray she'll live to bring great joy to someone else's home. Two-hour feedings for this tiny girl, throughout the day and night. Day one; she's in there fighting; you say a silent prayer. Day two & three, she's doing well, with lots of love and care. Day four & five . . . she's still alive; your hopes soar to the heavens. Day six she slips away again, dies in your hands, day seven. You take this little angel, and bury her alone. Yet watch the joy your kitties bring, and everything's explained.